Acquire your handicap on one of Austria’s most beautiful golf courses within 5 days! 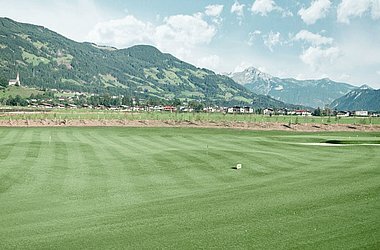 Learn to play golf amidst the fantastic panorama of the Zillertal’s mountain world together with a PGA-certified golf pro! The PGA golf school, the clubhouse as well as a pro shop round off the offer of the exclusive golf course in Uderns. Well-groomed fairways, numerous bunkers and varied greens guarantee a unique golfing experience thanks to perfect course conditions. We like to make your personal package deal according to your wishes! You prefer talking with us personally? No problem: We answer your telephone inquiries on +43 5288 62262. We look forward to your call!